With a life expectancy of 41 years and a literacy rate of just 35%, Sierra Leone is one of the poorest countries in the world. 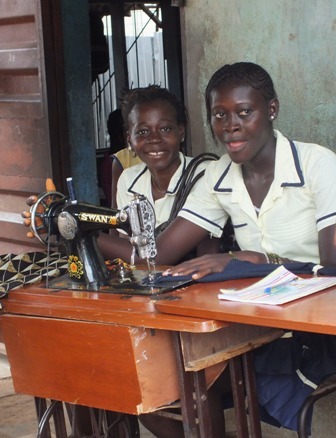 Village Aid worked in Sierra Leone for over 20 years, throughout the devastating civil war, we worked with communities to enable them to develop their own solutions to their problems. Most recently, Village Aid supported the Masallay Academy in the town of Mile 91, which is 91 miles from the capital, Freetown. Mamma Sallay, the Academy’s founder, began caring for orphaned children following the brutal civil war which raged through Sierra Leone between 1991-2002, killing over 50,000 people. Youth Employment and literacy rates are amongst the lowest in the world. Youth have turned to negative coping strategies such as prostitution, crime and drugs to deal with their situation. The civil war destroyed agriculture which was the main source of income for most households. Due to the massive destruction of infrastructure, there are limited opportunities for young people to re-establish themselves. Mamma Sallay and her fantastic team grant free primary education to orphans and support older children with secondary school fees as well as providing accommodation, food and healthcare. Village Aid has been supporting Mamma Sallay with school fees, learning materials & uniforms, along with technical support to make the Academy more self-sustaining. The team at the Masallay Academy and Orphanage have also been engaging youth in a wide variety of income generating activities, such as hairdressing, screen printing and dressmaking. Through these activities and with the support of their local community, they have been able to start a small farm, growing rice and cassava, which provides food for the orphans and produce to sell on the market. West Africa’s Ebola epidemic killed over 2,000 people and impacted hugely on the economy and society. 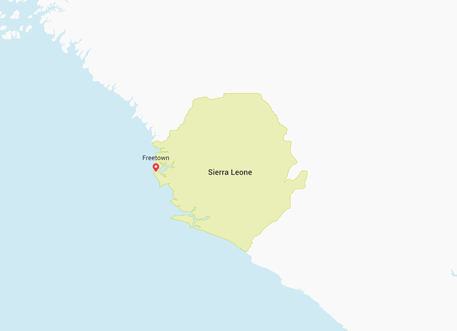 Sierra Leone has been one of the hardest hit countries. Despite this challenge, the Masallay team established the Royana Restaurant business project. 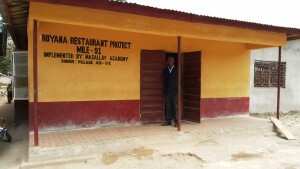 A small restaurant in the heart of Mile 91, Royana will provide steady funding to support the orphanage’s work. Profits will be used to train young people in vocational skills in order to enhance their livelihoods. This will ease their reliance on external funding, making Masallay Academy more sustainable and self-sufficient. The team is determined to become the largest-serving restaurant in the Mile 91 community, building local skills by creating a range of paid and voluntary jobs. From beekeeping in Ghana, to business loans in The Gambia..